1. 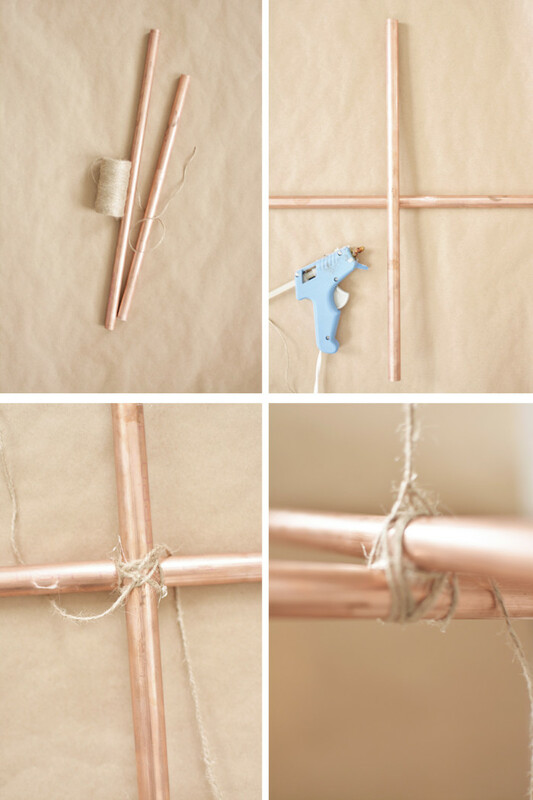 Using a ruler and pencil, mark the copper pipe twice at 12-24″ inches (depends on how big you want your mobile to be). I had some leftover pipe that was about 14″ long so I just left it at that. 2. use the pipe cutter to cut the pipe (mine was already cut). 3. Using a ruler, mark the center of both pipes. 4. Hot glue the pipes together into a big X using the center marks as a guide. 5. 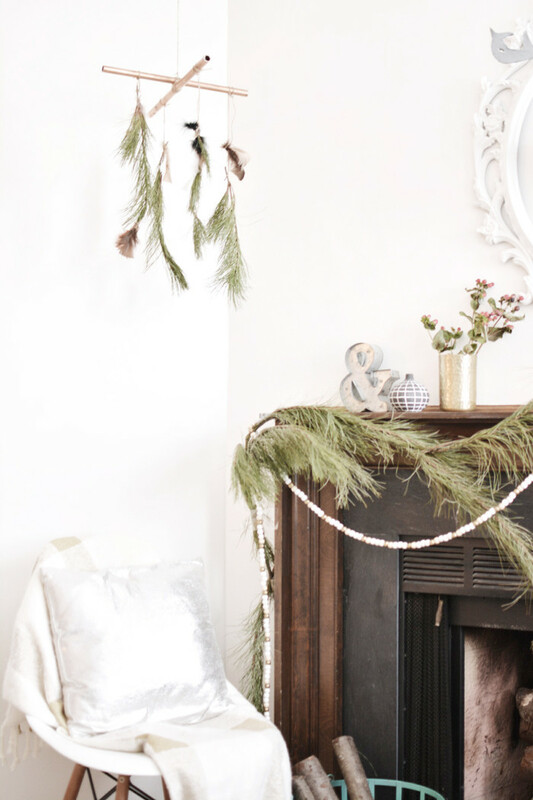 Tie string/twine around the X and knot. 6. 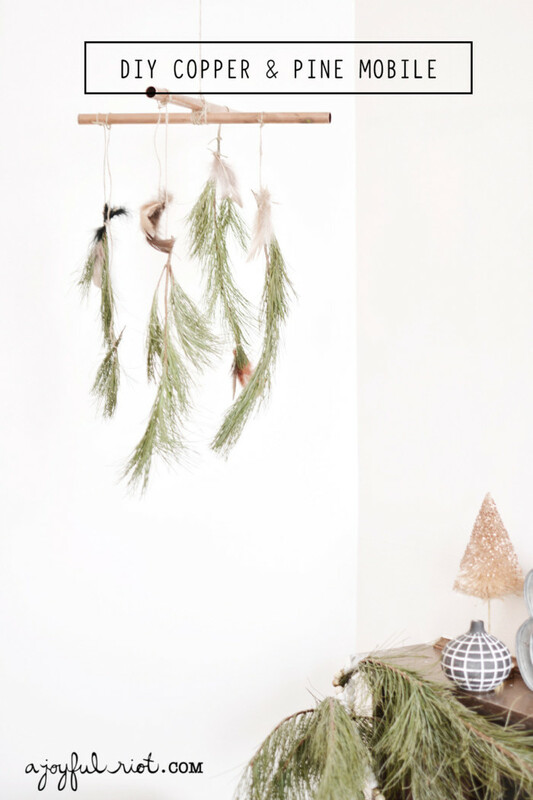 Suspend the string from a table or other surface while you add the decorations to the mobile. 7. 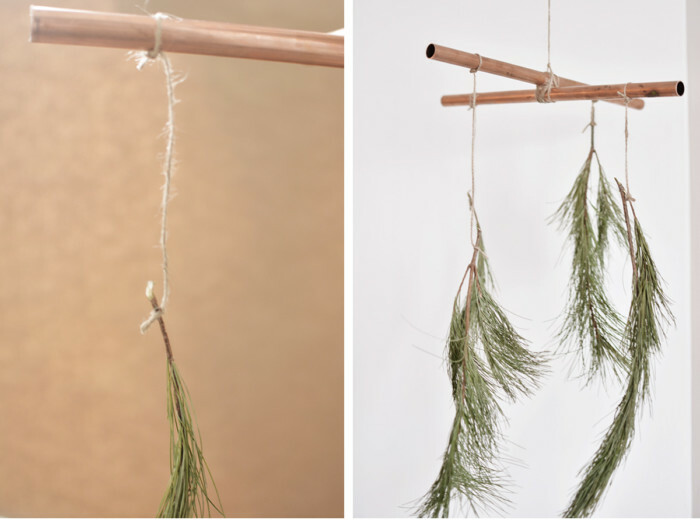 Cut pieces of pine and tie string around the top, leaving about 18″ of string on one end. 8. Loosely tie the pine swags on the ends of the X. 9. Add in other details such as wooden beads or feathers. 10. 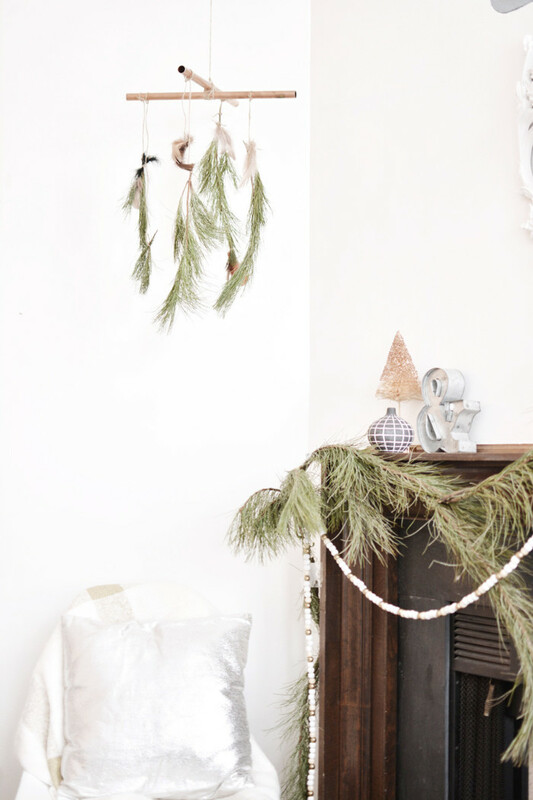 Play with the lengths and placement of the pine and other decorations until you like the look. You might have to adjust a few things to get the balance just right as well. 11. 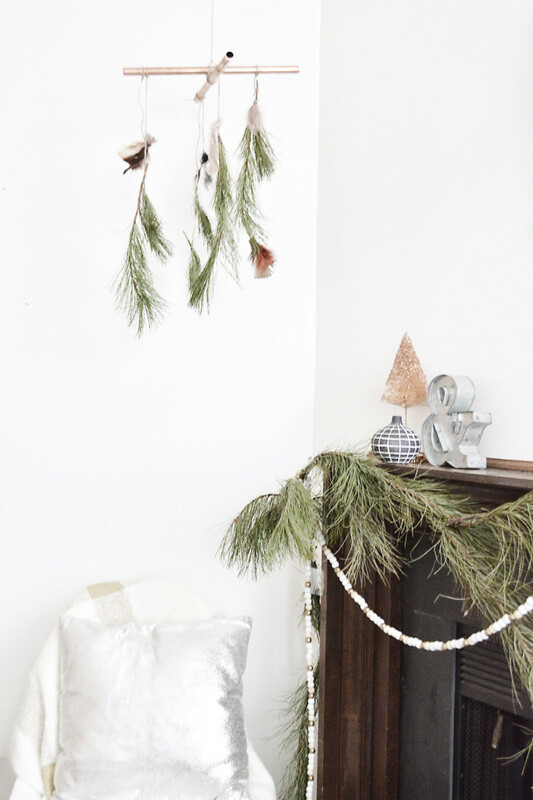 Hang the mobile up using a ceiling hook. 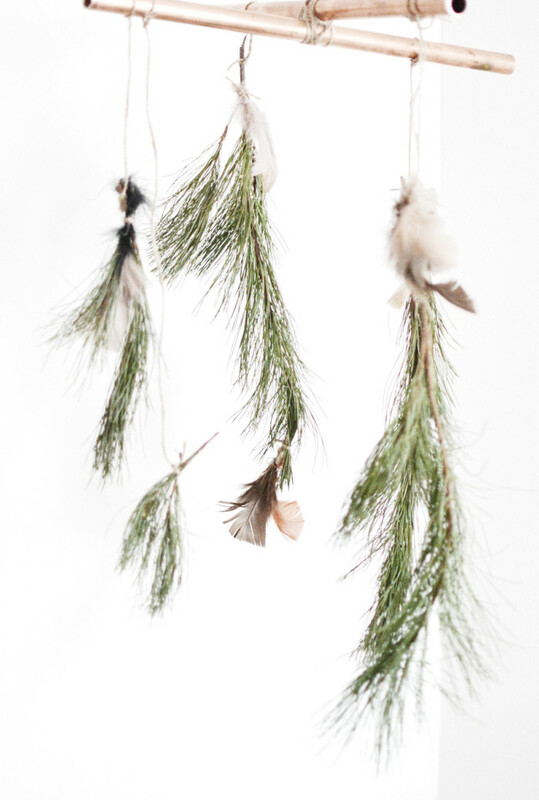 Initially I just had plain pine but thought the mobile needed something extra so I added in a few feathers to the ends of the twigs.